Even if it works spectacularly well. 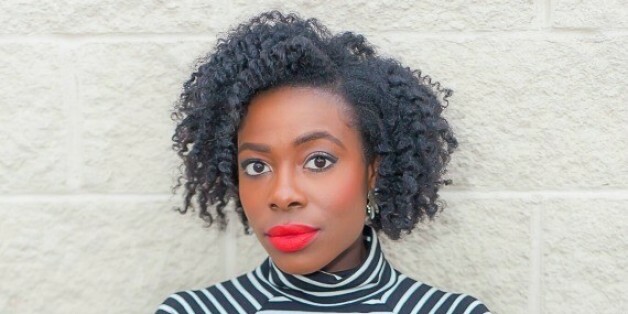 Natural hair is not meant to lay straight and flat like European hair. Our texture is unique, because it has a mind of its own. "Ignore the prejudice and hatred." Today my family loves my natural curls and they often advise others to do the same with their damaged hair. My own hair journey has led them to change their views and their definition of beauty. It's a love story between Swift and this overalls dress. My natural hair journey has taught me that my beauty is not defined by my hair texture. I am beautiful because I have the courage to celebrate and embrace my authentic self. When I was pregnant with our second child I wanted a little girl so badly that I felt guilty. Our first born was a son and I longed for a baby girl I could put ribbons and lace on. I dreamed about what she would look like. In my dreams she had big blue eyes and black, curly hair. I blossomed when my hair was growing and full. To me, healthy means beautiful, -- whether it's healthy skin, healthy teeth or healthy hair -- it all equates to being beautiful. Healthy hair is beautiful. Collectively our voices are effecting changes in creating a more inclusive standard of beauty. Everyday that we learn more about our hair and document our experiences publicly is another day we support a Black woman who is nervous about finally coming into her own and accepting her natural hair.